One of the abiding delusions of the male mind is the belief it is actually possible to put off critical Christmas shopping until late on the 23rd of December. I am the apostle of this delusion. I take comfort in this false belief every year. No amount of actual experience ever shakes my conviction that it is not only possible to shop like this but economically prudent too. And every year this faith is tested and found wanting. Whatever I may save in last minute markdowns I pay for in this evening's glowing and gut-wrenching angst. So there I was waiting at the "Information" counter in the local Barnes & Noble in search of, well, "information." I simply wanted to know if this gigantic repository of games, gags, cards, calendars, coffee, and, oh yes, books had a certain title and where it might be located. I was one of a small cloud of befuddled customers hovering about the source of "Information" and the service in the store at this hour of the evening on this last day was not exactly "crisp." Bluntly stated, the "information" staff of 2.5 employees had had it. Burnt out, tired, tried to the breaking point, they were still going through the corporate mandated methods of "helping" customers locate what they were looking for. At Barnes and Noble these days that means, as it means at so many other stores, a quick look-up and then a guided tour to the book the customer has requested, a hang-out until the clerk is sure they've found it, and then an inquiry of that person whether or not they need anything else. People have gotten married on flimsier relationships. This mandated hand holding means that those needing a simple data-base query run and simply to be told "That's under the author's name in Philosophy over there," tend to build up at the desk in hordes. And in these hordes on this night nobody's happy. Add to this stituation people actually calling on the phone with "information" requests and you can see the slow steam beginning to rise off the assembled. Your real need to know means nothing to the "information" clerks of Barnes and Noble. They must, MUST, comply with corporate protocol lest some corporate quality control spy find they are doing things efficiently according to the situation and fire them. They know they could make things run smoother, but they also know they can't. I understand this and, most of the time, I try to hobble my impatience and irritability out of empathy for their plight. Working retail on this day is not a stroll through a heaven of angels wings, babies bottoms, and hot chocolate with teeny tiny marshmallows on top. Just when I thought it would be my turn at last to get my measly little question answered and get my own personal guided tour to the book I needed the phone rang at the "Information" desk and the woman, who should have been MY GUIDE THIS INSTANT!, took the call. She listened and said, "I'll see." Then she turned and disappeared into the bowels of the store. Finally peeved I couldn't help saying out loud in a scathing tone as she departed, "Jesus CHRIST!" Without missing a beat the man waiting next to me turned and said, "Well, that's Who we're here for, isn't it?" In this case, this man's observation snapped me out of it like a sharp whack on the shoulders from a keisaku. 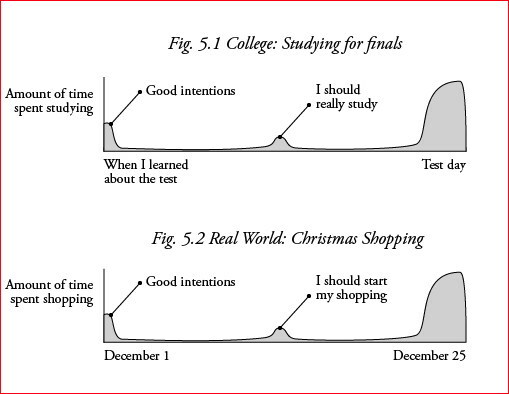 Snapped me out of my bitter mood and back into the reality of the Christmas season instead of the illusion of the bookstore. "Thanks. Thank you," I said. "You're absolutely right. He is the reason we're here. I needed that." We both laughed. I shook his hand and left the store and my remaining little needs behind. I'd just gotten what I needed. Outside in the parking lot you could see the getting and spending still going on in the dark. Beyond the parking lot were the roads and the woods and the streams and the mountains all under a white shawl of snow. Driving back through the whiteness I realized I didn't need to buy any more gifts for anybody. We all already have more gifts than we need or know how to use. What we all need for Christmas is often the last thing we want -- a sharp whack from a keisaku wielding jikijitsu focusing us to simply accept, at the very last minute, His gift. God bless you Gerard, and Merry Christmas. Thanks, I needed that too! May God bless you and your family and have a Merry Christmas. There's an analogy for this which I learned when I was in Russian language classes. It's called the "Russian soup line". You get in line and wait. You pay for your soup. The cashier hands you a ticket. You get in another line, and wait. You hand your ticket to another worker. You get a bowl from that worker. You get in another line. You hand your bowl to yet another worker. He has to go from your end of the serving line all the way to the other end of the line to ladle out your bowl of soup. He then has to go back down the serving line to where your are to hand you your bowl of, by this time, cooler soup. The problem of a spoon is still at this point, unresolved. Exactly. This year we are, whether by economic necessity or spiritual progress, committing our Christmas season to family, friends, and food, with minimal gift exchange, as we all realize the gifts we have and how we can better share with those in need. And Barnes and Noble are evil, a place to be avoided at all costs. They combine the crassest commercialism with staffs who seem to think they work in the local, multicultural postmodernist vegan progressive disdainful university faculty hangout bookstore. As a current Barnes and Noble employee (who leaves for work in a little under two hours, dreading what shall await me at my "Information" desk today) I appreciate your attitude regarding the nature of this season. I would like to point out, however, that on the rare occasion we break with "code" and say, "Oh, yes, Aristotle... he's over in the first Philosophy bay, under 'A'..." and give the customer the freedom to find said Aristotle on their own, inevitably, two minutes later that same customer is back at my Info desk. "I can't find it" they lament. "It must not be there. You really have nothing, nothing by Aristotle?" At this point they have waited in line to ask me the same question not once, but twice. I then go through the proper hand holding requirements and take them over to said Philosophy section where, inevitably, said Aristotle is there, in abundance, slightly above or below one's line of sight, or the needed title shoved behind another book. Once in a while it works, the pointing and the hoping that it's where it's supposed to be. I know customers mind the hand holding and the walking, but really, we Info clerks don't mind. We like helping you find what you need and we try, we really do, to make it as painless as possible. Especially around Christmas, because trust me... we want to get out of there as badly as you do. I *LIKE* Barnes and Noble. I even let 'em send me email. Well done, Mr. Vanderleun. May your blessing multiply this year. Not to miss your point, but one observation I'd make is that at Borders, but NOT Barnes & Noble, the computer kiosks are accessible by the customers, so they can look up and find their own damn books (assuming they're shelved correctly, and recognizing that many will be indicated by the dread words "Likely in store"). Proving that one book chain at least has some idea of the value of democratizing access to information in the internet age, and one is stuck in 1992, with predictable results on December 23. Re: Waiting in line at Barnes and Noble. As one famous person said, "I feel your pain." May Christ's blessing be yours this Christmas and all the year through. Merry Christmas, G. Tiny Tim had it going on; "God Bless US, Every One"
I understand that I'm being overly concrete, but there's actually a pretty famous org behavior article about this. Two authors studied the relationship between cashier friendliness and sales at a chain of convenience stores, confident that it would be positive. In fact, it was negative. When they went and looked, the discovered that they were making the wrong implicit assumption about causation. At the stores with relatively low sales, customers and staff had time to talk. At the busiest stores, neither wanted to talk: customers and staff both wanted each transaction to be efficient and businesslike. Oh, that was perfect! I confess that I'm a little bummed on the timing, or I would have put it in this year's Carnival of Christmas... I'll have to bookmark you and ask you to send something in next year! Ahhhh, Gerard-san. You have received what Joshu Sasaki Roshi once told me during sanzen is "special keisaku." "We want to get out of there as badly as you do." announced that they too are going out of business. The 'brick & mortor" trend continues. Brilliant. May we all receive the whacks we need this Christmas. May yours be the best Christmas ever. Thanks Gerard I too needed that. This dood needs, NEEDS, to write a whole book full of short stories. Not long stories because his vision is too intense and nobody could endure them. You have it all wrong. Males prefer not to shop at all and certainly not just before Christmas. I do shop a little in the weeks after Christmas for some items. One: I must agree with ghostsniper. Two: I read this aloud to my family, who loved it. I had trouble getting their attention, and told them the source was the same as the holy cookie story and they settled right down. You have a gift, thanks for sharing it. I actually did do all my Christmas shopping last night in a half-hour period, covering a total of 37 people (kids, spouses/partners, grandkids, and a few others). Amazon email gift cards are my salvation. Yep, it's just what I needed. The reason for the season. This has always been one of my favorite GVDL pieces -- thanks for posting it! I always like this one, it sort of drags me along with it. Starts smooth, familiar, and slowly builds, subtly, and then on line 42 it SNAPS, and quickly depressurizes and deflates like a balloon losing it's air and by the end you're back to normal again, but a little bit wiser, for now. That's not a story, it's a ride.